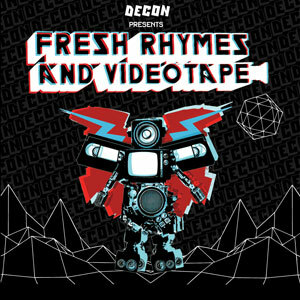 “Decon Presents Fresh Rhymes & Videotape” CD plus Bonus DVD marks the start of the “Multi-Medianaire” series on Decon. 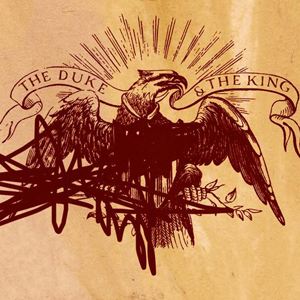 Throughout the course of 19 tour dates, Dilated Peoples, The Alchemist, Aceyalone and 88-Keys took part in Decon’s first ever “Fresh Rhymes & Videotape” tour. A multi-media extravaganza, the tour featured video installations from Decon’s own Jason Goldwatch (video director for Damian Marley’s “One Loaf Of Bread”, Ludacris’ “Red Light District”, Dilated Peoples’ “The Release Party”, and many more) and was the first of its kind. On the road, the artists collaborated to create 5 new tracks, as well as a documentary-style short film of these hip hop legends at their finest.